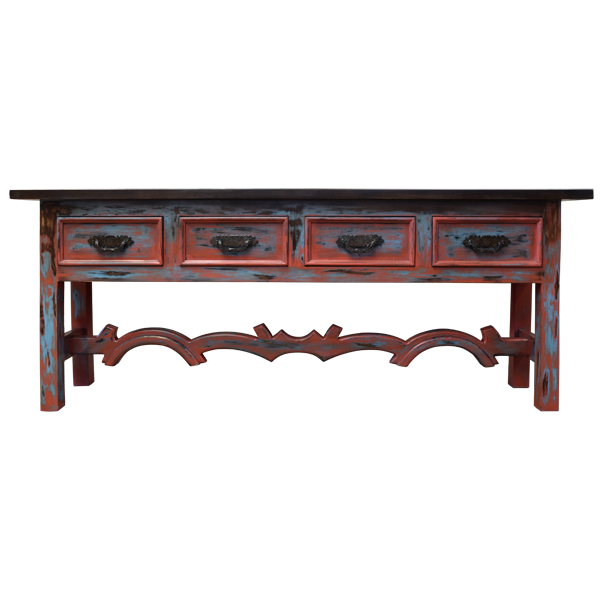 This handcrafted, Spanish colonial style console features various Baroque details, including its antique, red finish and its graceful yoke crossbar. The beautiful, curved yoke crossbar connects the four, slightly splayed, square cut legs. The legs are joined by an equally lovely “H” shaped stretcher. 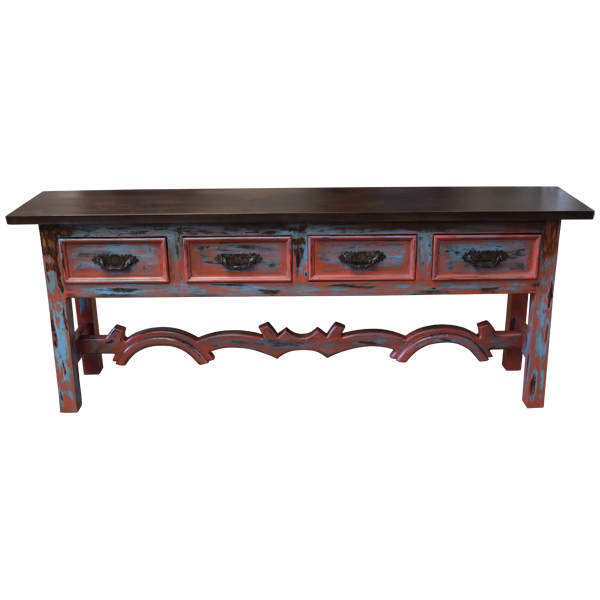 The open, wide top has a contrasting, dark, antique finish. 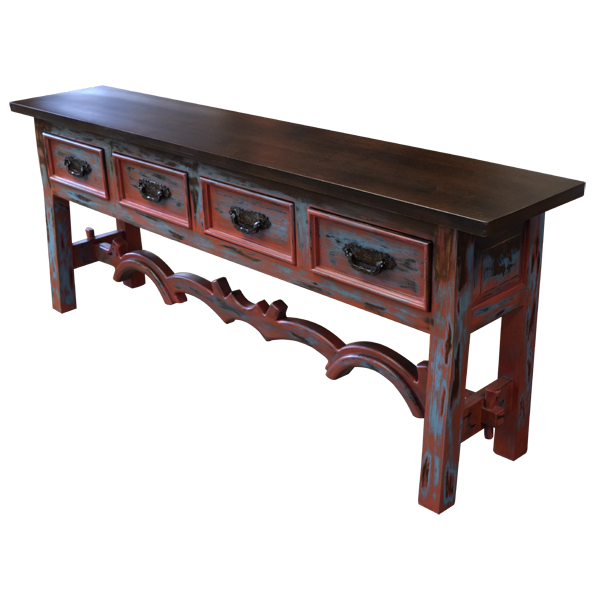 The front of the console has four horizontal drawers, each with a rectangular cut design, and centered in each drawer is a hand forged, iron handle. Each lateral side of the console has a rectangular cut panel. The console is made with the best, sustainable, solid wood available, and it is 100% customizable.